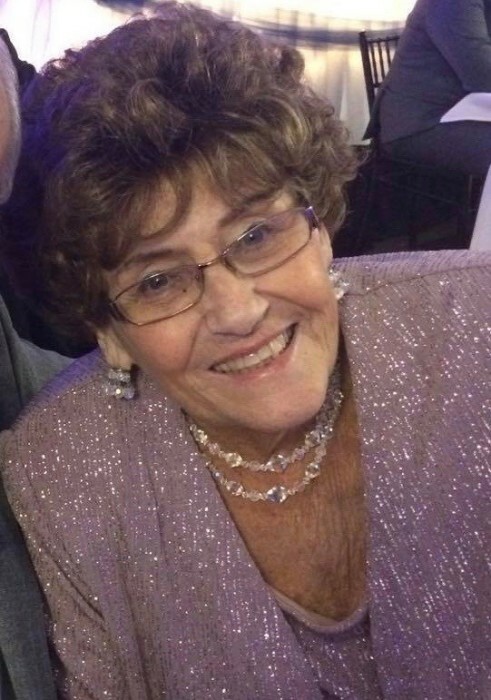 Jeane Langan, 84, of Carthage, passed away Sunday morning, February 10, 2019 at Hickory Grove Apartments in Carthage. Donna Jean “Jeane” Langan was born on September 29, 1934 in Carthage, Illinois. Jeane was the daughter of Forrest and Ruth Carl and the sister of Robert “Bob” Carl. She is survived by her beloved husband of almost 65 years, Tom; her brother Bob (Judy); four children, Peggy Hayner (John) of Deerfield, Illinois; Dan Langan (Valerie) of Wauwatosa, Wisconsin; Suzy Neally (Stan) of Carthage; and Cathy Burling (Ron) of Morris, Illinois; ten grandchildren, Laura and Audrey Hayner; Tommy (fiancé Lily) and Claire Langan; Mitchell (Kate), Justin (Mackenzie) and Ethan (girlfriend Holland) Neally; Ryan (Stephanie), Kevin (Caitlin) and Emily Burling; one great-grandchild, Grayson Burling and another due in April, Baby Neally. As a lifelong resident of Carthage, Jeane attended Carthage College where she was first spotted by Tom and he quickly fell for her. After a whirlwind courtship they married on Valentines Day, 1954. Upon Tom’s graduation from college, the two traveled around the country as Tom played Minor League Baseball. After Tom’s baseball career ended, he joined the family business of Carl Motors, founded by Jeane’s father Forrest. Tom and Jeane later started their family and Jeane became a wonderful wife, mother, and homemaker. Jeane loved her hometown dearly. She was a lifelong member of the First Christian Church—active in Homebuilders Club, Disciples Women, and the church choir. She served as a Gray Lady volunteer at Memorial Hospital and delivered Meals on Wheels with her husband. In the 70’s, she and Tom even operated the Woodbine Theater for several years. Jeane had a passion for playing sports and competing. She ran the Junior Bowling League for over 20 years and was quite the skilled bowler herself, having grown up in the T & C Bowling Alley, where her father was a part owner. Tom and Jeane also spent many hours on the golf course in couples’ leagues. Jeane’s favorite game was bridge which she still played regularly even in the weeks leading up to her passing. Together, Tom and Jeane became some of the community’s biggest sports fans, always cheering on their beloved local teams, and loving nothing more than watching their grandchildren play. They hardly ever missed a game. One of Jeane’s greatest pleasures was food. She devoted many hours researching “new recipes” to try out for her friends and family. For those that knew her well, there was no denying that desserts were her favorite as she always had to end her meal with “a bite of something sweet”. Lastly, Tom and Jeane loved to travel. They made many trips together, and with friends or family. A few of their favorites included Ireland, France, England, Canada, several Caribbean Islands, Mexico, an Alaskan cruise, and a more recent family vacation to Lake Michigan. Of all that they were able to see and do together, Tom and Jeane cherished being together in Carthage most—tending their flowers, spending time with friends, and making memories with family. Jeane will be remembered always as a faithful wife, a loving mother, and our sweet Gram. Funeral services will be held at 11:30 A.M. Thursday, February 14, 2019, at the First Christian Church (DOC) in Carthage with burial to follow in Moss Ridge Cemetery. Visitation will be held from 9:00 A.M. until time of services at 11:30 at the church. Memorials may be directed to the First Christian Church (DOC) or the Lowcountry FCA (Fellowship of Christian Athletes). Printy Funeral Home of Carthage is in charge of arrangements.